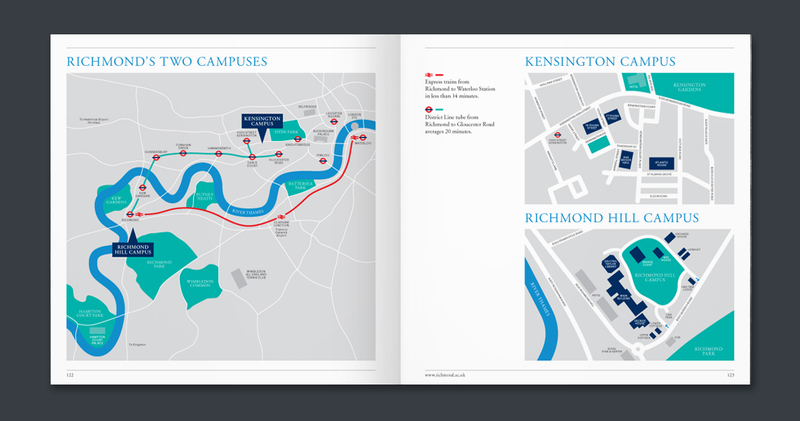 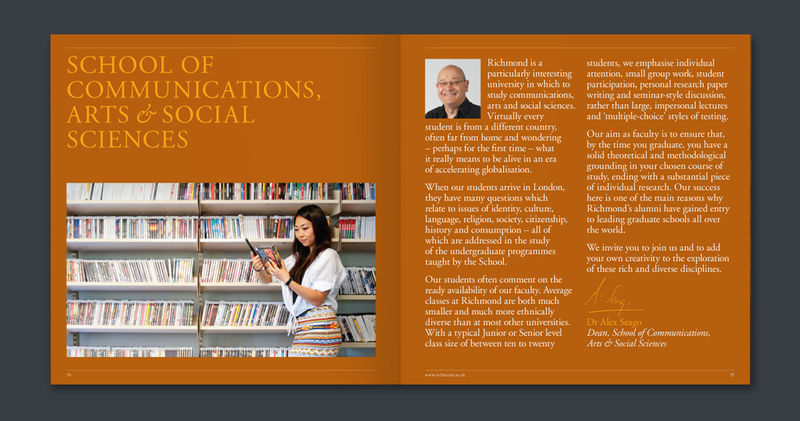 Richmond University is a truly international place of learning – its motto being ‘unity in diversity’. 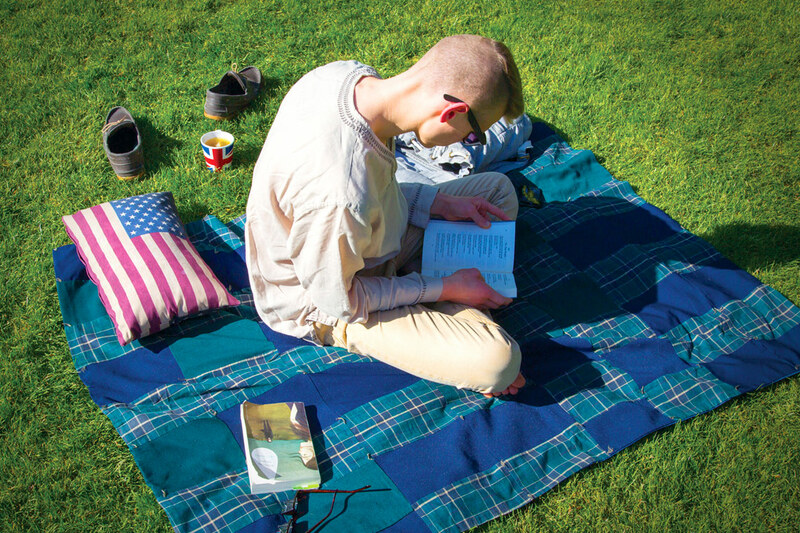 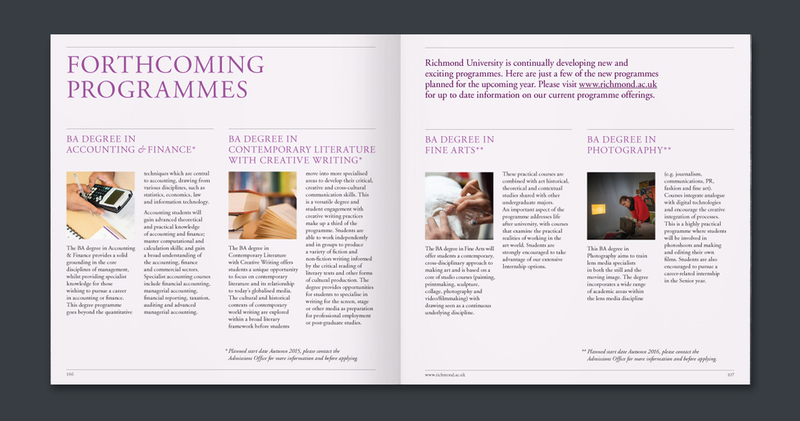 Being an American liberal arts and business studies university, Richmond was the first (and only) university to offer degrees recognised in both the US and the UK. 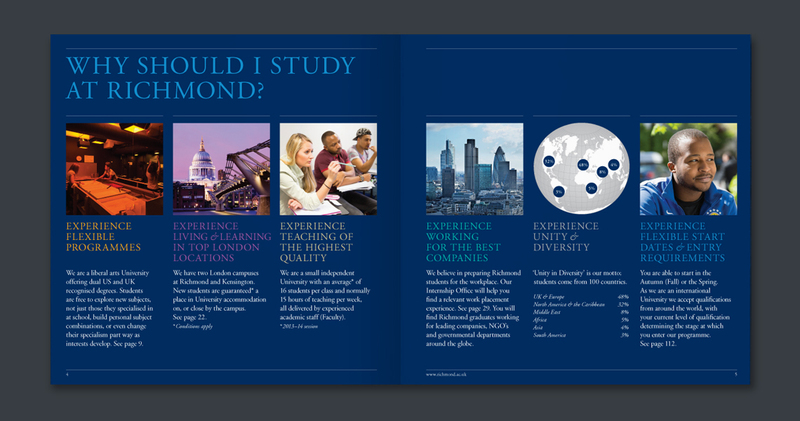 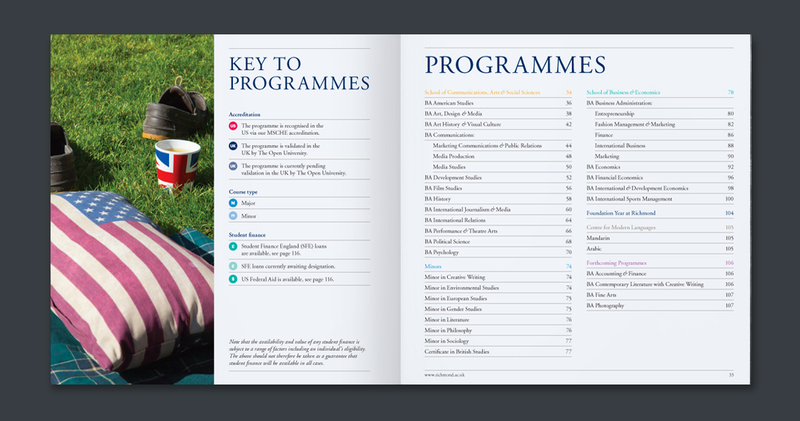 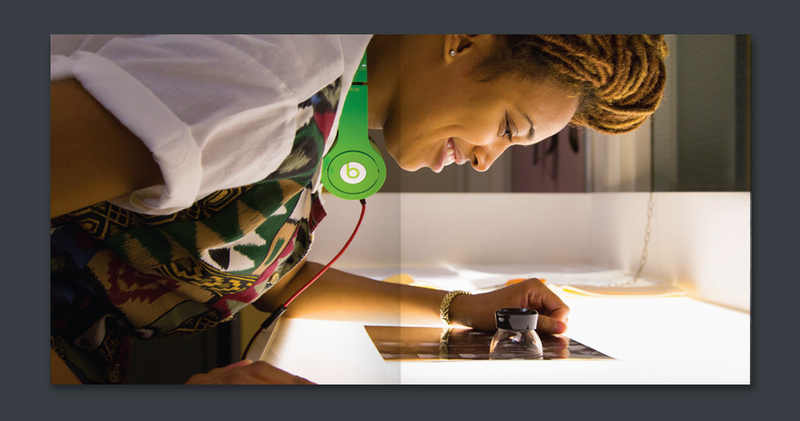 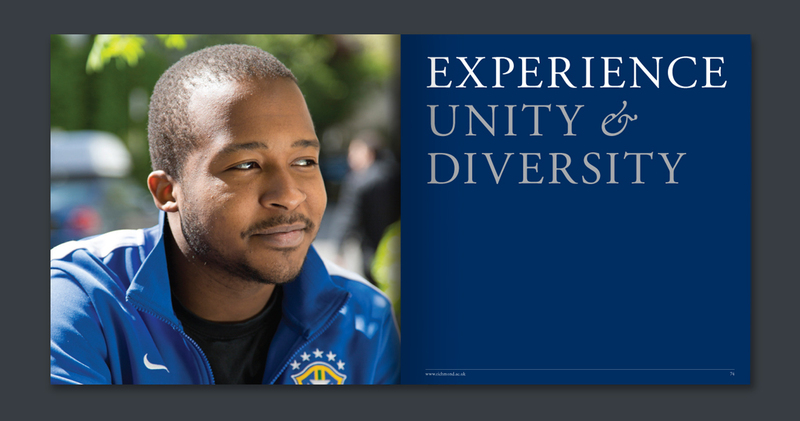 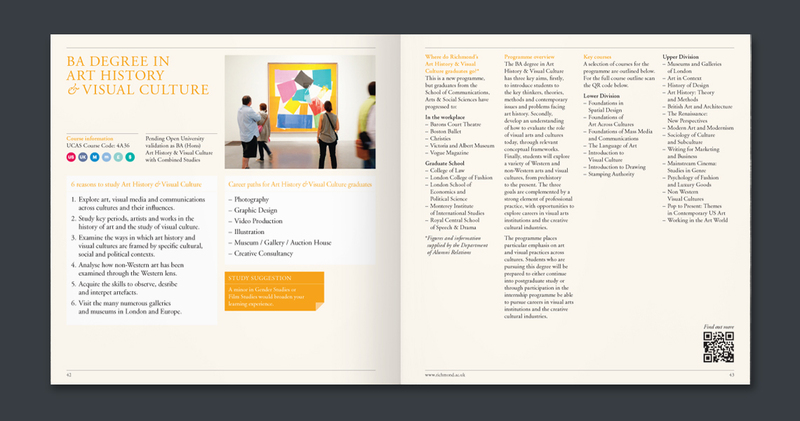 With such a varied student population, all marketing materials need to appeal to a diverse target audience. 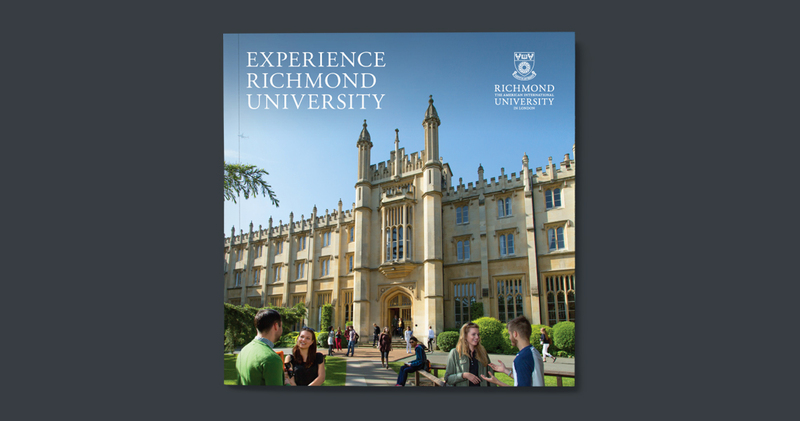 Studio AB, in collaboration with digital design agency Dewsign, designed their prospectus which used the idea of ‘experience’ as its theme. 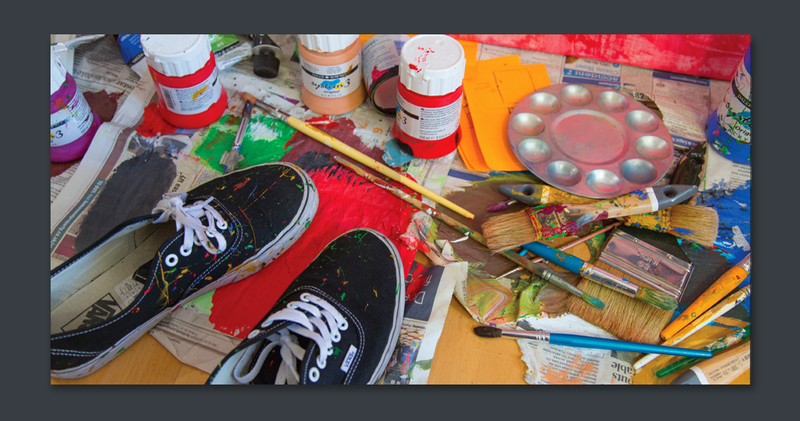 The design combined bold and colourful typography with existing students taking centre stage in a range of carefully art directed shots.